and for wound healing to its most common present-day use as an antidepressant. 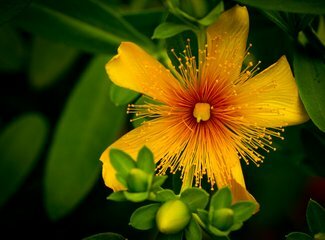 Plant source: Hypericum perforatum L.
Package： 25kg /drum, Packed in paper-drums and two plastic-bags inside. Storage： Store in a cool dry place, avoiding sunlight directly.